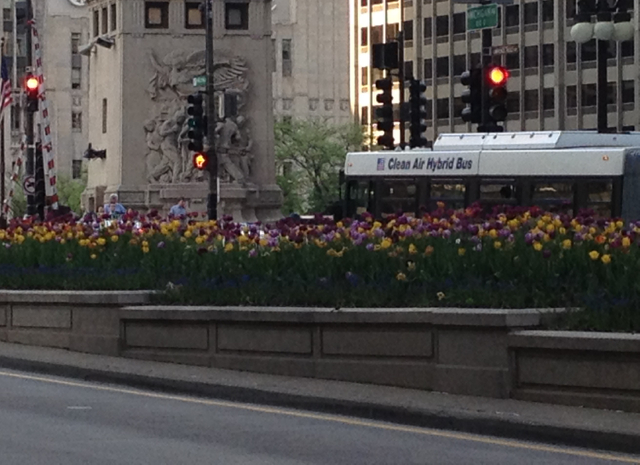 The sun was shining and flowers blooming in abundance to greet us as we started day one of our trip in Chicago. 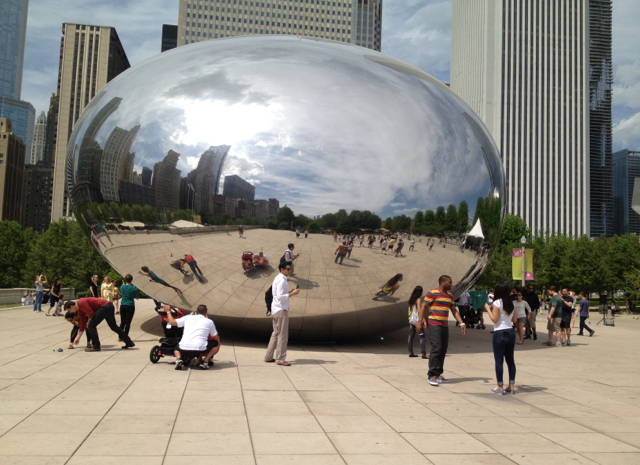 We landed around noon and rented a car that will be our transportation home. The "plan" is to drive home along the historical Route 66. 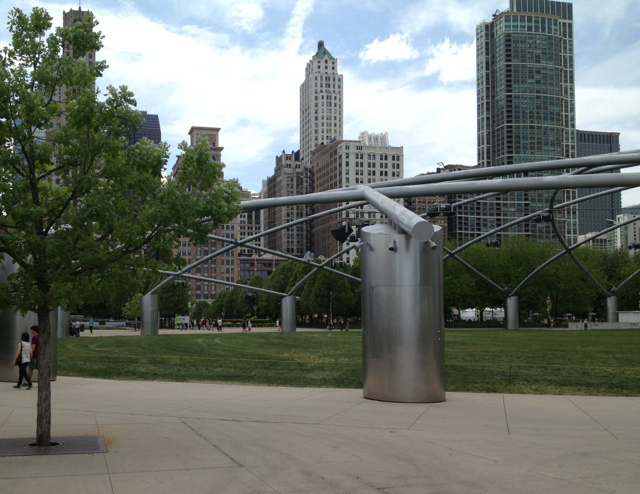 Historically the route begins in Chicago and we will follow it west to home in LA (weather permitting). 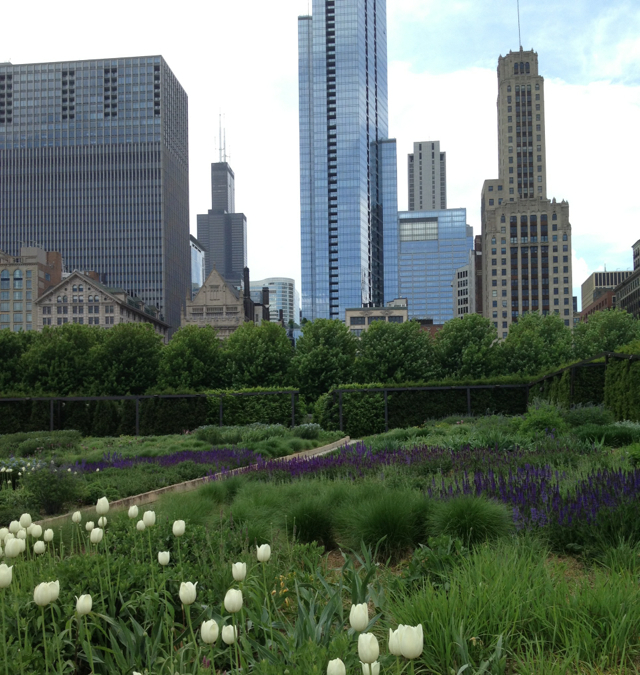 This is our first time in Chicago so we decided to spend our first few days exploring the city before heading home. 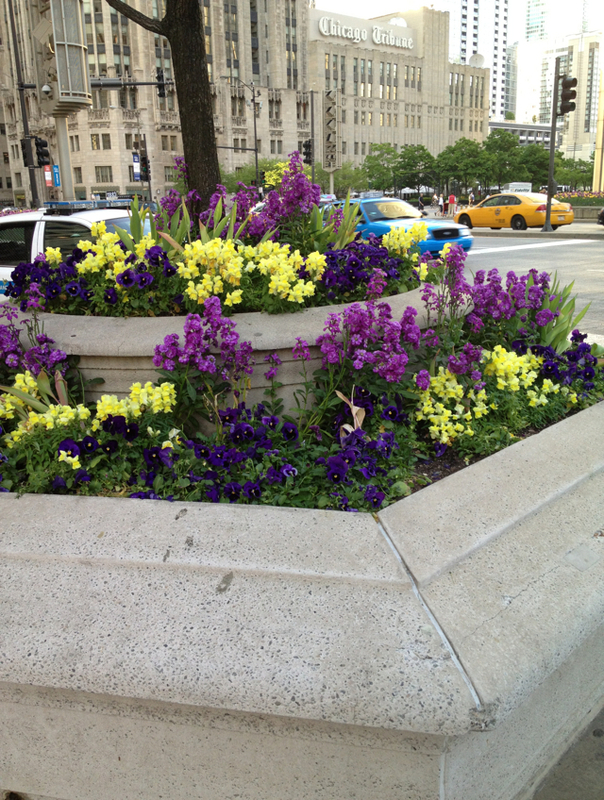 We started our tour in downtown Chicago walking along Michigan Avenue, taking in the beauty of the architecture, the gorgeous parks filled with tulips and lavender and the streets lined with even more flowers - tulips, snapdragons, stock and hydrangeas.